This report originally published at allhands.coastguard.dodlive.mil. Do you have an idea that might make the Coast Guard even more ready, relevant or responsive? Submit your idea through [email protected] by Dec. 14, 2018, for a chance to pitch it to a panel of judges during Idea Frenzy 2019. 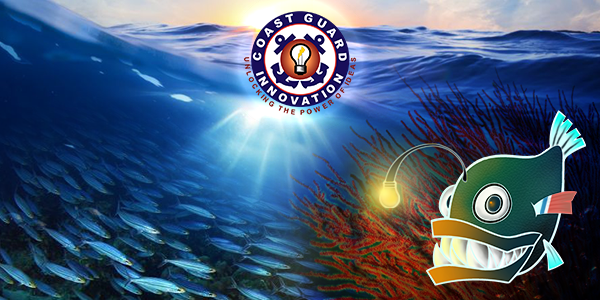 The Coast Guard Innovation Council is hosting its second “Shark Tank”-inspired idea pitching event Feb. 7, 2019, in Alameda, California. All Coast Guard personnel are eligible to compete for a spot in Idea Frenzy. “Idea Frenzy 2019 is expanding outside of Coast Guard Headquarters in Washington, D.C., to Coast Guard Pacific Area to reinforce service members’ sense of ownership and investment in the innovation initiative,” said Cmdr. Michael O’Neil, Innovation Program manager. “Idea Frenzy is all-inclusive throughout the Coast Guard, and we demonstrate this by hosting in the different places where our service members are,” O’Neil said. The Idea Frenzy challenge is open to all active, reserve, civilian and auxiliary personnel. Ideas may be submitted by individuals or teams. Contract personnel can participate as team members. The Coast Guard Innovation Council will select five ideas from the challenge entries to be pitched to a panel of senior Coast Guard leaders, including Vice Adm. Linda Fagan, PAC Area commander. The Innovation Program will handle any necessary travel orders for presenters. The actual Idea Frenzy pitching session is limited to four minutes, followed by five minutes for questions from the panel and audience. Presenters are free to bring props, posters and flip charts, but PowerPoint presentations and videos are not allowed. Innovation Council representatives will mentor those selected to help refine their presentations. Idea Frenzy pitches will be ranked at the event. The main goal is to follow Commandant Adm. Karl Schultz’s strategic objective to innovate for better organizational performance and reinforce a culture of continuous innovation, O’Neil said. All ideas submitted for this challenge will also be entered into the service’s annual Innovation Awards. To be considered for Idea Frenzy 2019, ideas must be submitted through [email protected] by Dec. 14. Ideas from previous [email protected] submissions may also be considered. Register with your .mil email address if this is your first time using the Coast Guard’s crowdsourcing platform. For details on the first Idea Frenzy event, go to February 2018 Idea Frenzy. Please contact [email protected] if you have questions about your submission. U.S. Coast Guard (USCG) reports are created independently of American Military News (AMN) and are distributed by AMN in accordance with applicable guidelines and copyright guidance. Use of USCG and U.S. Department of Defense (DOD) reports do not imply endorsement of AMN. AMN is a privately owned media company and has no affiliation with USCG and the DOD.